in a ‘how come I never noticed him in that way before’ light? A secretive young woman. A brash bush pilot. And the vast Canadian wilderness. 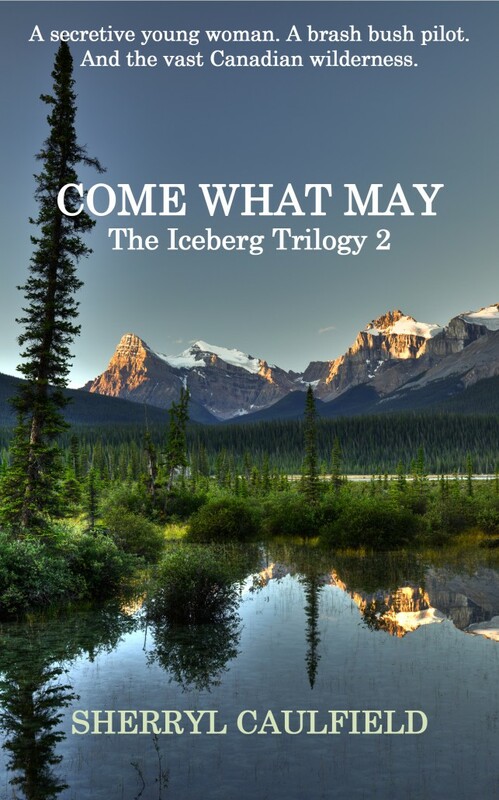 The second instalment of The Iceberg Trilogy, Come What May, continues the story of Samuel and Rebecca Dalton through the lives of their children, most notably, their beautiful, troubled daughter, Evangeline — Gene to all who knew and loved her. In 1951 — the summer of her eighteenth year — Gene embarks on a northern odyssey with her eldest brother, Jonathan. Under the northern lights they travel as part of a medical expedition to remote Cree settlements across the grand Canadian wilderness. There, she encounters people and events that will influence her life forever, including the unflappable Sonny Marlow, a young pilot not long returned from Europe where he served as part of the Allied forces in the Berlin Airlift operation. Drawn together by love but kept apart by her fears, theirs is a tumultuous relationship that is as unpredictable as the woman Gene becomes. From the Saskatchewan prairies to the Rocky Mountains, from James Bay to Vancouver, life and love holds many surprises and trials for Gene and Sonny. Only when Gene can walk away from the devastating shadows towards the light can she and Sonny live the life that held such promise when they were young and on the edge of love.